On June 24, 2017, Fathers Aaron Becker, Peter Kieffer and Juan Pedro Roblez were ordained to the Priesthood of Jesus Christ. 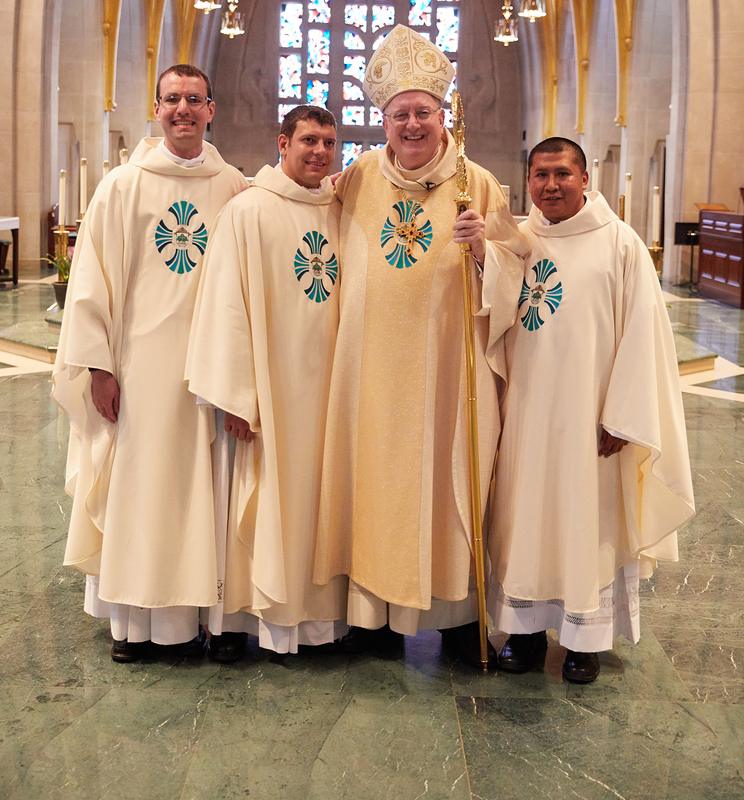 On Sunday, each new priest returned to their home parishes to celebrate their first Masses. Father Becker returned to Christ the King Parish in Spencer, Father Kieffer returned to Blessed Sacrament Parish in La Crosse and Father Roblez returned to his home parish in the U.S. at Ss. Peter and Paul Parish in Independence but will be returning to Mexico to celebrate a Mass of Thanksgiving with his family in Mexico City. Now, they will each take their first steps as priests for the Diocese of La Crosse at their new assignments. Father Becker begins his priestly ministry as Associate Pastor of Our Lady Queen of Heaven Parish and Chaplain at Assumption Middle School and High School in Wisconsin Rapids. Father Kieffer begins his priestly ministry as Associate Pastor of St. Matthew Parish and Holy Name Parish, and as Chaplain at Newman Middle School in Wausau. A full feature article will be in the September/October issue of Catholic Life.